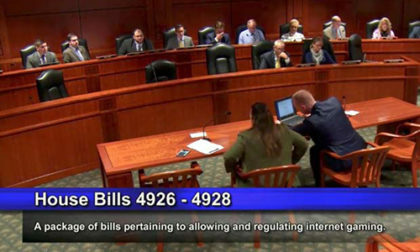 Michigan’s House of Representatives approved on Wednesday a measure that would legalize and regulate online gambling throughout the Wolverine State. The Michigan House voted 68-40 to approve the H 4926 measure introduced by State Rep. Brandt Iden last year, which had encountered difficulties in recent weeks as Rep. Iden attempted to move his bill forward. The House’s passage of the bill, which also includes provisions that authorize and regulate sports betting, seemed stalemated a few weeks ago due to a “poison pill” provision demanded by several of the state’s tribal casinos. That poison-pill provision would have ended all online and sports-based wagering in Michigan in the event a future federal law stripped US tribal nations of the right to offer either gambling form. Whether that provision remains in the version of H 4926 is unclear from published reports, as H 4926 was amended before passage, though it was a stumbling block to the bill’s House passage as recently as a week ago. Despite the vote, the measure still faces a long road to becoming law. The Michigan Senate isn’t expected to consider its version of an online-gambling / sports-betting measure until September, when that body returns from a summer recess. Whatever bill is ultimately passed will have to return to the Michigan House floor as well, due to the expected Senate amendment process. Iden also believes that the Michigan Gaming Control Board already has the right to add sports betting to the list of approved gambling activities at Michigan’s 26 casinos (23 tribal and three non-tribal, the latter all in the Detroit metro area). Nonetheless, Iden believes Michigan’s legislature should “take the initial step”. Despite the open question about the poison-pill provision, other elements of the bill and remain as stated within the late-2017 version of the bill. If approved, the measure calls for the creation of a new Division of Internet Gaming to be administered within the MGCB. The new bill would also set a lower tax rate of 8% on gross gaming turnover for both online gambling and sports wagering. That’s significantly higher than the 19% rate now paid by the three Detroit-area casinos on other gambling activities. The MGCB would directly administer and license the new activities at those three Detroit-area casinos, while the approval for the 23 tribal casinos would be handled as an added element to recurring tribal-state compact negotiations. The basic application and licensing fees are expected to be the same in either event: a $100,000 application fee, another $200,000 for the initial license, and a recurring $100,000/year renewal fee. Only the 26 Michigan-licensed land-based casinos would be eligible to receive a license, though many well-known companies and brands will likely be allowed to serve as third-party providers. The bill’s current language would also allow Michigan to seek player-pooling agreements (for online poker) with other jurisdictions. 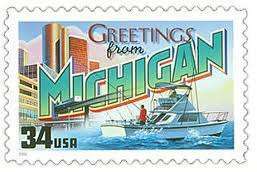 Both the online gambling and sports betting would be available to people aged 21 and over who are physically in the state of Michigan.